This is my second photo book from my adventures in Eastern Europe. 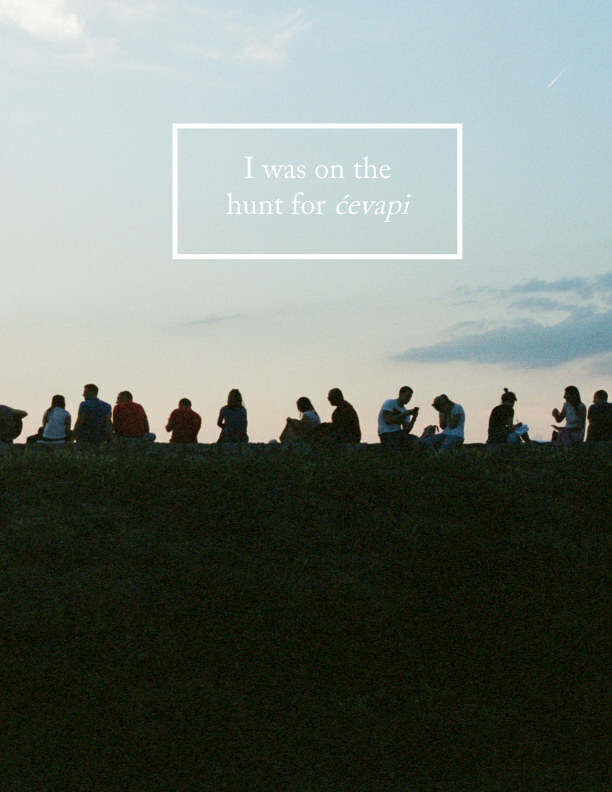 Because I didn't go away for an extended period of time, 'I was on the hunt for ćevapi' morphed into a more visual heavy project. I only brought my Fujica STX-1N and Sears 35rf 35mm analog cameras. I shot on Kodak 200 Gold, Kodak 400 Gold and Ilford 400 XP2. During my first print, I forgot to check that my photos were set as full bleed with no white edges. My full page spreads ended up having crooked white spaces all around the top of the photographs. Luckily, I also noticed some inconsistencies in trimming on the cover page, so I was eligible for a free re-print. I also learned the importance of paper quality- for my first print, I had chosen 'Economy Magazines' with a semi-gloss cover and gloss text for the pages. Because it's a very light weight paper (lo-fi in quality), it is a cheaper option. However, seeing what that actually meant in person made me realize that wasn't the right option for me. With the re-print, I was able to choose 'Premium Magazine', which according to Blurb's website, has a higher-end finish with a heavier semi-gloss cover. The paper is also matte text, a texture I've come to appreciate a lot more while running my fingers through the pages. Here's the e-book on issuu's site if you can't access the embedded book. Also, if you are interested in purchasing a physical copy of my book, please click on the link above! You will be redirected to Blurb.